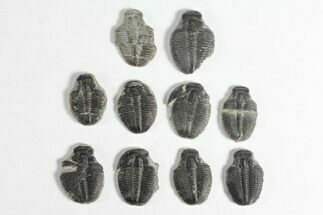 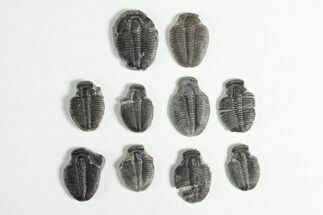 Elrathia kingii is a classic Middle Cambrian trilobite and possibly the most recognizable trilobite species in the world. 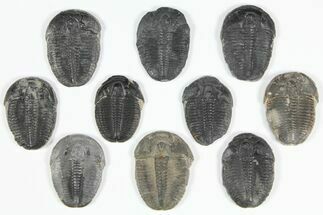 They typically average a little less than an inch in length with very large individuals reaching about 2 inches. 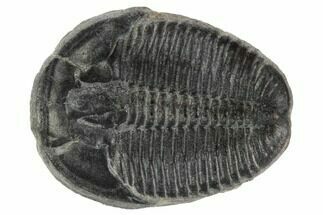 Elrathia's body shape, mouth parts, and high concentrations suggest they are particle feeders, scavenging the ocean floor for food. 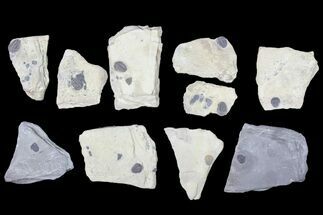 They are quarried by the thousands at several commercial quarries near Antelope Springs in the House Range of Utah. 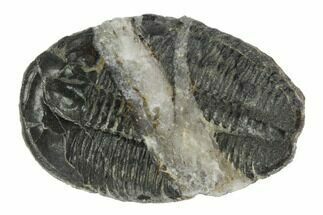 We microscopically prepare our specimens of Elrathia using air abrasives which produces much higher quality and detailed trilobite than the those prepped by wire brush at the quarries. 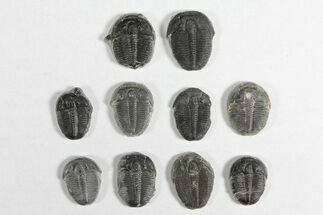 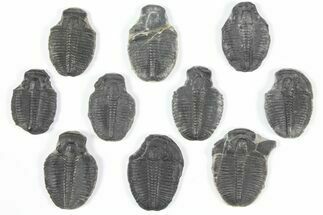 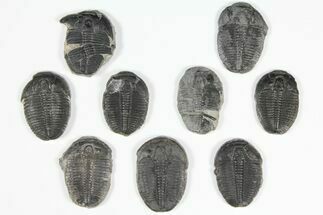 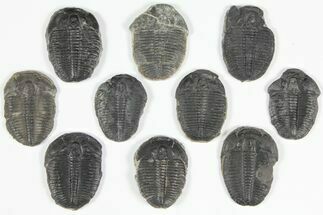 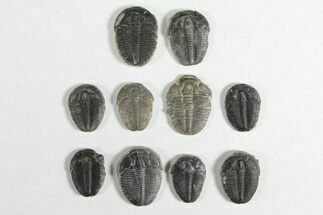 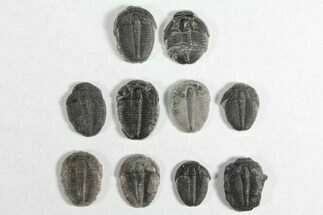 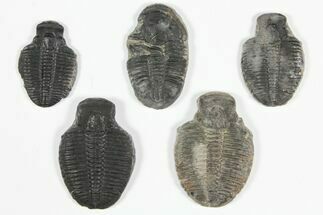 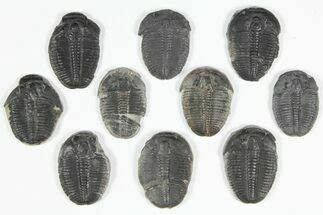 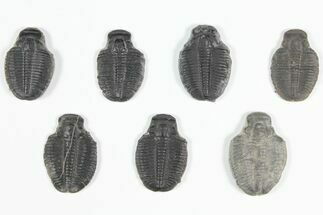 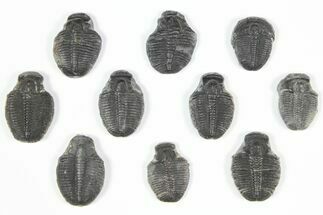 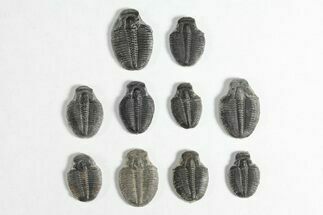 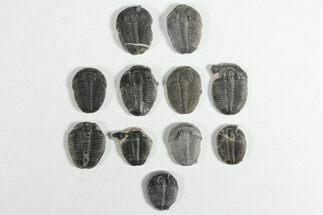 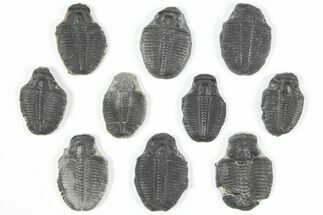 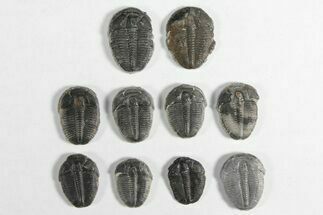 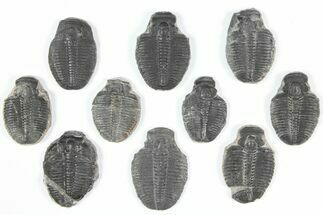 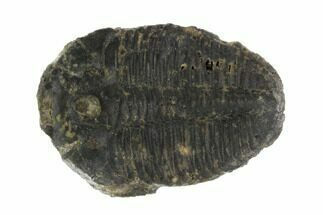 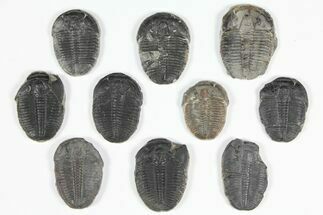 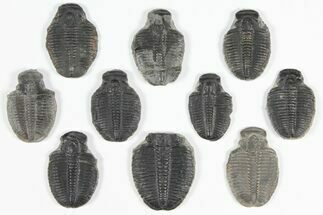 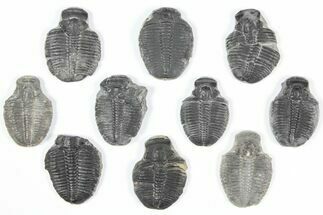 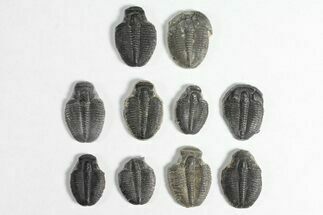 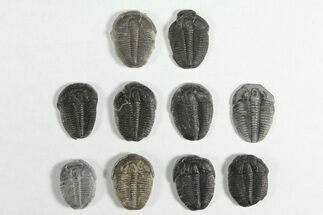 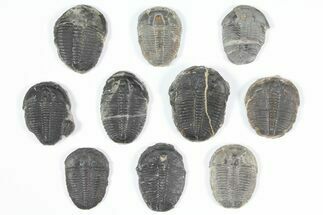 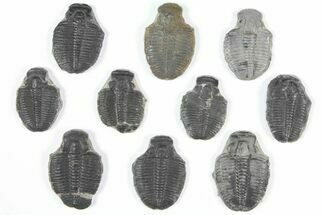 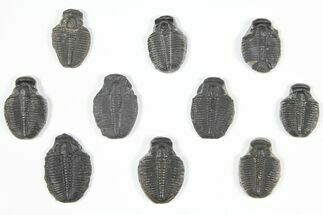 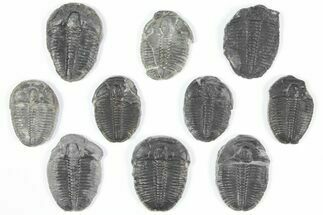 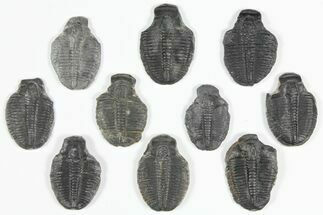 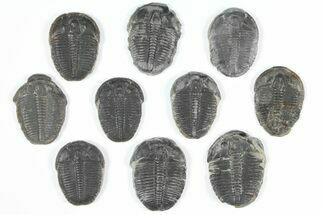 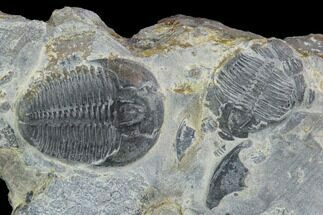 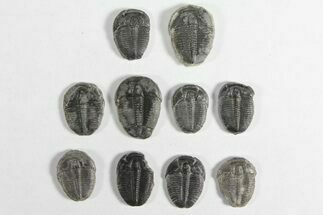 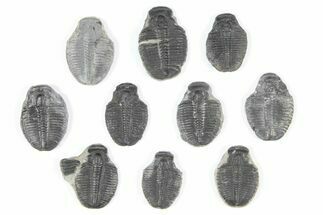 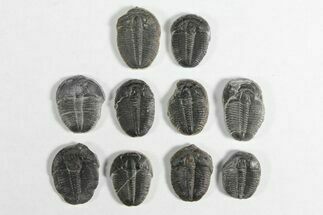 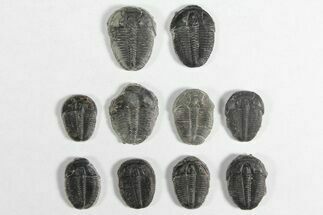 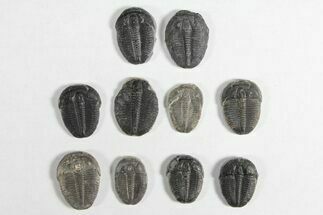 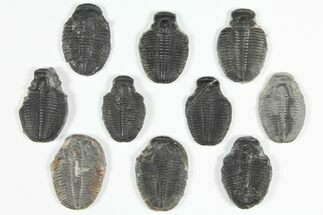 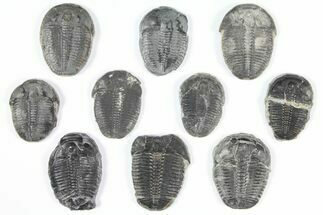 Learn more about trilobites.